Jenny East has been named Oregon Sea Grant’s new, full-time Extension boater outreach coordinator to work with recreational boaters on Oregon’s north coast, the Columbia River and in the Portland metro area. 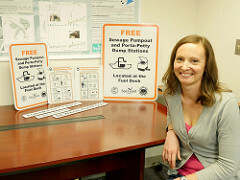 She will work with the Oregon State Marine Board to inform boaters about the location and use of dockside “pump and dump” facilities for properly disposing of onboard toilet waste, part of the state’s ongoing efforts toward cleaner waterways. East, who started Dec. 15, is temporarily working out of OSU’s Lincoln County Extension office in Newport, with plans to relocate soon to the Washington County Extension office in Hillsboro. Twenty-five years ago, in 1990, salmon populations from a variety of locations in the Pacific Northwest were being considered for listing under the federal Endangered Species Act. 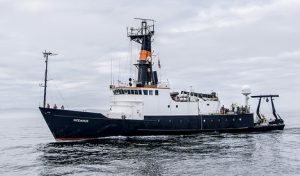 “Listing” of salmon was going to have serious implications for the region, and Joe Cone, then the science reporter for Oregon Sea Grant, developed a series of 14 radio feature stories to help listeners understand the issues and hear from the newsmakers and scientists involved. The programs were broadcast on public radio stations in Oregon. Collected on an audio cassette at the time, these programs, recorded between November 1990 and August 1991, have been out of circulation for years. Since Northwest populations of salmon are still listed, receive protections, and have been the focus of attention for many people, Sea Grant Communications has been reviewing the recent history. In 2014 we published Salmon Abundance and Diversity in Oregon: Are We Making Progress? — a report and accompanying video, featuring OSU Prof. Court Smith. Now Cone’s 1990-91 broadcasts have been digitized, and some are online. 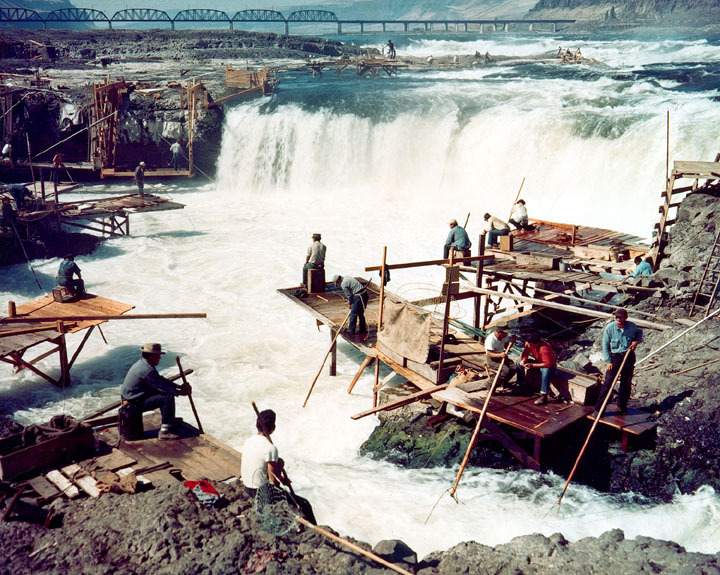 Mashed up with this historic audio is rare color-film footage of the great Indian fishery at Celilo Falls on the Columbia River. That silent film footage is courtesy of the Army Corps of Engineers, Portland District. 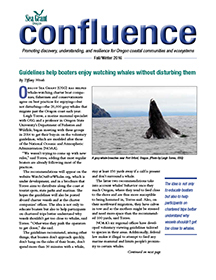 The combined audio and video is available on the Oregon Sea Grant Vimeo channel. The program is also available on YouTube. The four radio stories are 1) How the Salmon ESA decision was made, with Merritt Tuttle of NMFS; 2) An interview with Bill Bakke of Oregon Trout, an ESA petitioner; 3) Trying to help migrating salmon at Bonneville Dam, with OSU biologist Alec Maule; and 4) an Indian view of the salmon crisis, with Ted Strong of CRITFC. The announcer presenting the intros to each feature is Janine Kobel. 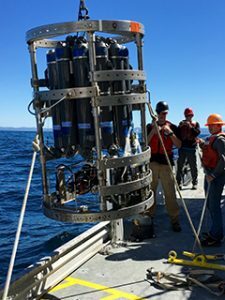 Transcripts of the radio programs are available on request from Oregon Sea Grant Communications.